Brian’s horse. 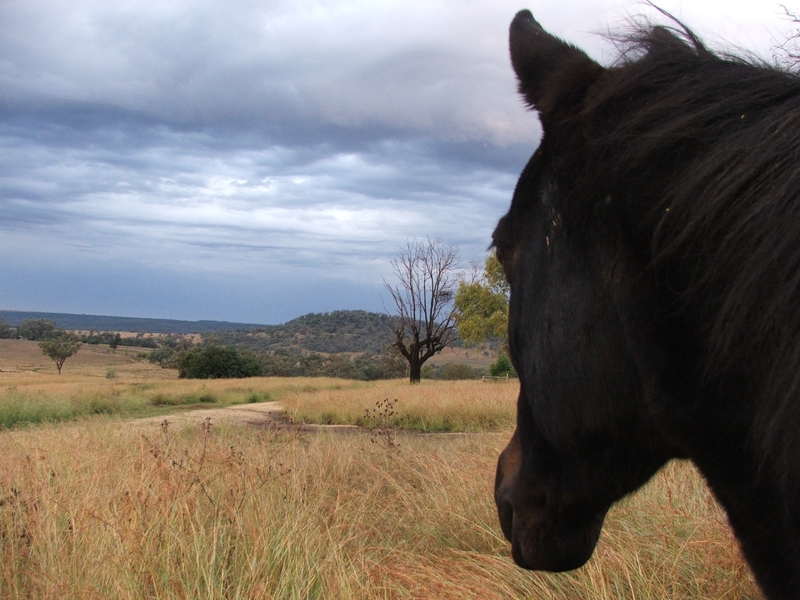 Australian Stockhorse registered as Mr Smoothey. Also known as The Black Fiend of Rocky Springs. Has no conscience: will eat roses, pinch biscuits from the dogs, and steal lunch out of eskies. Waits till Brian is not paying attention then throws in a buck for something to do. Ratbag of an animal.